A landlord in British Columbia lost its bid to enforce a provision allowing it to recover a $1,000 move-in bonus offered to a tenant who later defaulted on rent. The case went before the Residential Tenancy Branch after the tenant’s rent payments fell two months behind. The bonus provision provided a $1,000 rent incentive when the tenant moved in. The clause required that, in the event the tenant breaches the tenancy agreement, including failing to pay rent on time, the move-in bonus would be revoked, and $1,000 would be immediately payable to the landlord. However, when the tenant defaulted on rent payments, the landlord was unable to enforce this lease provision. The bonus provision was not included in the tenancy agreement. It was only found in the rental application, making if an offer to rent, and not a legally binding provision, according to the arbitrator. What’s more, the arbitrator determined that the purpose of the clause was to entice completion of the rental application, which is a one-sided document, entirely for the landlord’s benefit, typically used to check the references and credit of a prospective tenant. 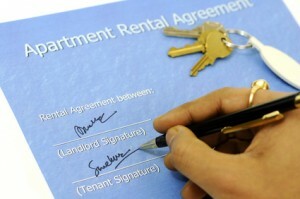 The tenant and landlord later signed a lease agreement, which did not mirror the rent incentive requirement. The arbitrator found that a new agreement was formed at that time, which did not include the clawback provision. The arbitrator also clarified that, even if the lease agreement contained the clause, it would still represented a penalty, and therefore the provision would be void under other provisions of the law. Incidentally, the landlord’s application requested an amount nearly $700 lower than what the landlord was entitled to in past due rent. However, the arbitrator refused to order the tenant to pay more than was requested in the application. The landlord must now file the order for past due rent in Small Claims Court in order to collect the money due.